Between November 9th and 13th, from 2 p.m. to 5 p.m., Starbucks customers that buy one holiday beverage, will get another one free. Last week, Starbucks unveiled its a new holiday cup. 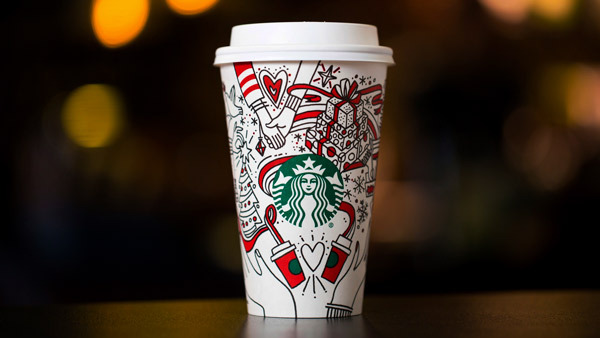 This year the cups feature splashes of red and green amid illustrations of presents, snowflakes and a Christmas tree with star on top. But the black-and white illustration is mainly blank for customers to personalize. Seattle-based Starbucks Corp. says most of its U.S. stores will have colored pencils for people to borrow.